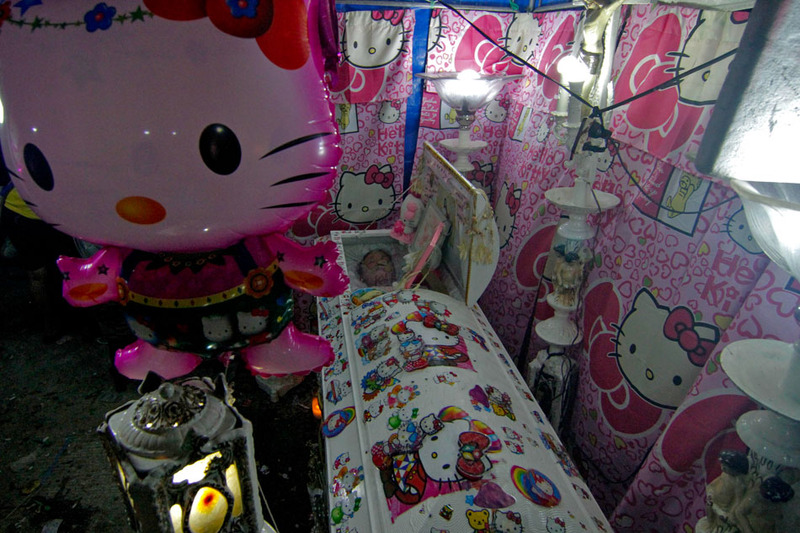 Imagine waking up in the middle of the night, men have barged into your bedroom. Their faces are hidden behind masks, but their guns are displayed on their hips or their hands. The men drag your father outside the house, while pushing your terrified and screaming mother and siblings out of the way. The masked men disappear with your father into an awaiting vehicle. The next morning you hear that his lifeless body had been left on a street, riddled with bullets. Now imagine you are 11 years old. This happened to John Ryan and his 9 siblings, all of them younger than 17 years old. Their father, Joaquin, had been found dead the next morning on Kanduli Street in Manila. We have heard about the children killed in the government’s anti-illegal drugs campaign, but we have not heard about the other ways this so-called “drug war” has changed the lives and futures of thousands of other children. Children who have witnessed acts of violence, children who are orphaned and traumatized, those at constant risk of direct physical harm due to their presence in areas where police conduct violent anti-drug operations, and those who experience discrimination from their communities because their fathers or mothers had been accused of drug use. The anti-illegal drugs campaign places children at immense risk. This is ironic given the presumed objective of the anti-illegal drugs campaign is to ostensibly protect the next generation from the scourge of illegal drug use. We cannot continue to ignore the immeasurable long-term and potentially cross-generational impacts of this government’s violent and relentless campaign. If the government fails to protect children and their families from harm resulting directly from the anti-illegal drugs campaign, then it has already failed in its principal objective. 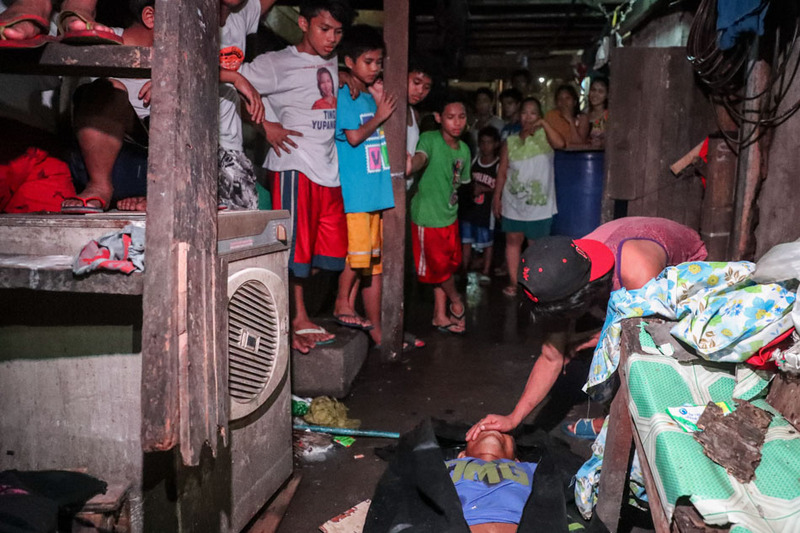 According to the Philippine National Police (PNP), 4,251 people have been killed during police operations. And at the time of writing this article, there is no publicly available information on how many of these victims are below 18 years old. The same agency reports 23,327 deaths under investigation -- of this number, many are homicides related to drugs, and similarly, little is known about how many of the victims are minors. ● Michael Miras, 14 years old, was killed on 2 May 2017 by unidentified gunmen wearing bonnets, along with his father who was a Barangay Tanod in Old Balara, Quezon City. ● Jayross Brondial was a Grade 6 student from Pasay City. He was shot repeatedly by a man on a motorcycle on 26 September 2017. He was 13 years old. His older brother, who allegedly used drugs, had been killed earlier in the year. Their mother, who had lost two sons to the drug war, believes that Jayross was targeted because he had been mistaken for some other drug personality. 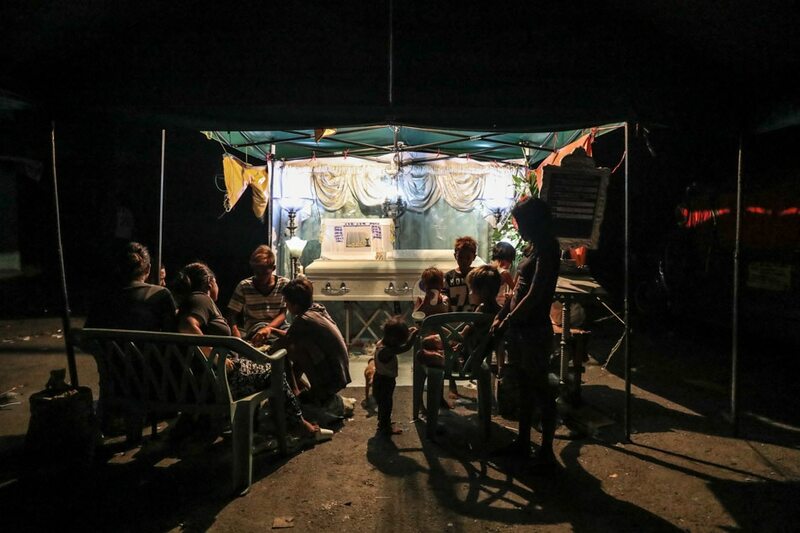 ● On 24 July 2016, Richter Baykin, a 16-year-old boy and student of Pines City National High School, was killed by policemen during a buy-bust operation. Most of the victims killed due to the anti-drug campaign are men, and they are often fathers who support their families financially. There are also numerous known cases where women who are killed leave behind small children, as well as tragic cases when both parents are killed. Since tens of thousands of people have been killed, this means there are also tens of thousands of children who have lost fathers or mothers, who have been orphaned by violence. There is no official count of children orphaned as a result of drug-related killings, but as early as December 2016, the Department of Social Welfare and Development (DSWD) had come up with an estimate of 18,000 children. This estimate was based on a count of around 6,000 people killed, and the average number of children in a family (3 children). We recalculated this estimate based on a more conservative set of assumptions and using current data reported by the PNP. Reports have a specific number of drug-related deaths due to police operations, and 23,327 homicides under investigation. Further, the police report that for the homicides, motive has been determined for 13,243 killings, and the rest do not yet have an established motive. Based on these numbers, around 20% of the cases are drug-related. We assume that each person killed has 2 children (instead of 3, the national average). 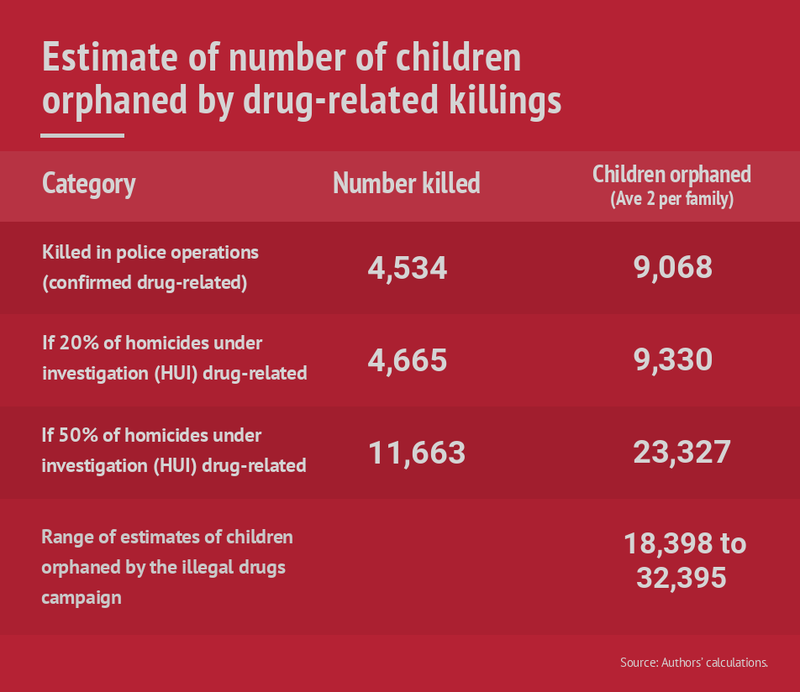 Table 1 below shows the likely number of children orphaned, with the deaths of one or both parents in the Philippines’ anti-illegal drugs campaign. If 20% of the homicides under investigation are deemed drug-related, in addition to those killed in police operations, at least 18,398 children have been orphaned one parent as a direct result of this anti-drug campaign. If the scenario is that 50% of homicides under investigation end up being drug-related after motive has been established, then the estimated number of orphans is 32,395. All of these estimates are based on what are likely under-reported statistics of parents that have been killed to date. 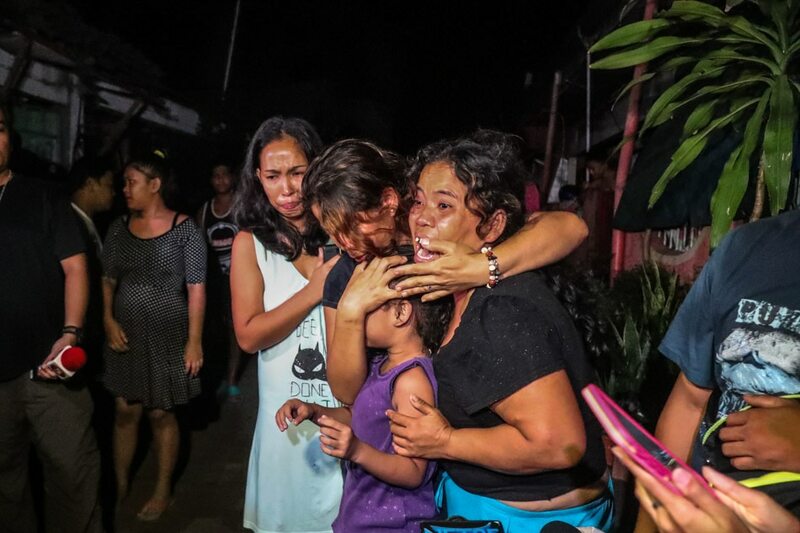 The killings continue unabated, and as a result, there will be tens of thousands of children who will grow up without a father or a mother -- knowing that their parent was brutally murdered. Whether they witness these deaths first-hand or not, there will be trauma, stress, and long-term psychological harm. In addition, we also expect catastrophic economic shocks to the family affected, especially when the victims who are killed are breadwinners. 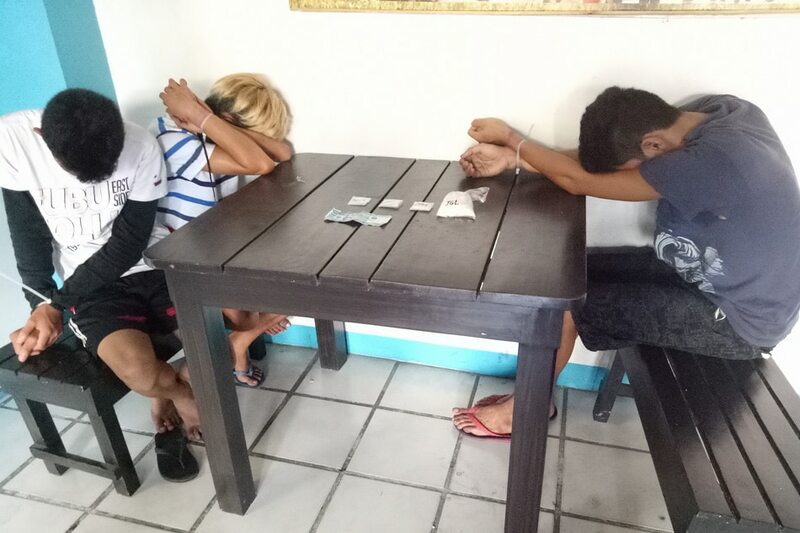 According to the PNP-WCPC (PNP-Women and Children Protection Center) in April 2016, since the beginning of the campaign, 26,907 children surrendered as part of Oplan Double Barrel/Tokhang Operations. Except for 946 children, all had surrendered in 2016. The vast majority are boys (94%) and 3,279 of these children are 14 years old or younger. By dint of labeling these thousands of children below 18 years as “surrenderers” formally reflected in the system and in reports, it implies that the PNP had engaged in some form of listing of these individuals. For its part, the Philippine Drug Enforcement Agency (PDEA) reports in June 2018 that they had “rescued” 1,155 minors during the conduct of their operations. Based on the PNP manual of operations, children who have broken the law are called “rescued” and not suspects, criminals, or even surrenderers. 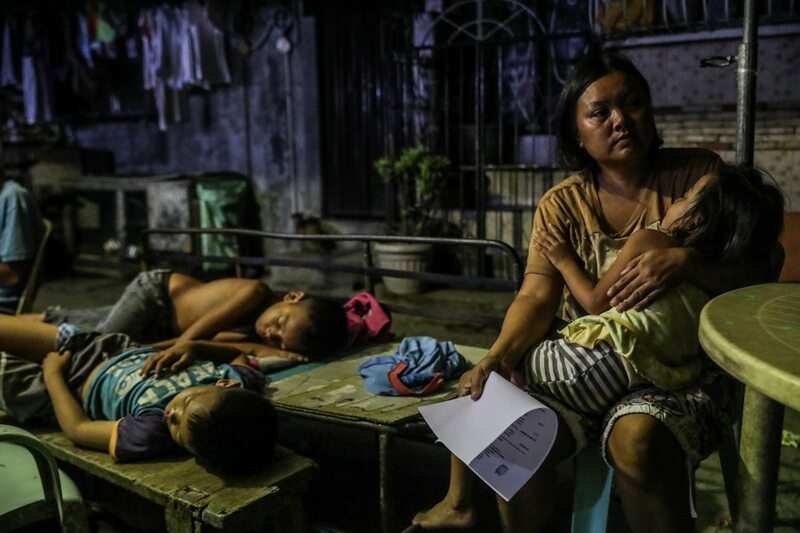 Early on in the campaign, the Philippine Center for Investigative Journalism (PCIJ) reported on the tens of thousands of minors who had surrendered during the first two months of Oplan Double Barrel. The regions with the highest numbers of children that had turned themselves in are Central Visayas (3,971), Northern Mindanao (3,783), and Zamboanga Peninsula (2,196). All of these regions have small populations relative to the National Capital Region (NCR), which only reported 276 children surrenderers. In total, we are talking about over 28,000 children who have, in some way, been entered in the enforcement system of drug operations. Little is known about how these children were treated, why they were even included as part of the listed surrenderers. The basis for their listing remains unclear, and the protection of their rights to privacy and confidentiality as children that had contact with law enforcement also remains in question. The burden falls on the PNP to show the public and children’s rights watch-groups that laws and procedures relating to children were strictly followed. There are manuals and protocols for how children should be treated by the PNP, these are codified in the “PNP Manual in Handling Cases of Children at Risk and Children in Conflict with the Law” adopted by the institution on October 2016. Bringing minors into police stations is the absolute last resort, acceptable only after options of counseling through parents, guardians, barangay officers have been exhausted. Section 6.2 of the manual states “Children in conflict with the law shall never be detained in a police station lock-up, or referred to jails managed by BJMP or any law enforcement agency, provincial jails and other similar facilities.” (emphasis added). Narconomics, an analysis of the illegal drugs trade using an economics lens, emphasized how drug dealers faced severe human resource (HR) challenges, given the high staff turnover in the narcotics trade – mostly due to the mortal risks involved. Drug lords in Latin America and the United States have therefore turned to an unlikely source for talent and skills training: prisons. In this light, lowering the age of criminality in the Philippines to 9 years old should not be accepted. Throwing children in jail cells with hardened criminals may actually strengthen drug lords’ ability to recruit fresh talent – hardening youth who could have otherwise been saved from a life of crime and drugs. We will end up strengthening their HR department. International experience suggests that a whole-of-system approach is necessary to combat the narcotics trade. It requires international cooperation to combat smuggling and interdict drug flows. In addition, we need tighter financial regulatory reforms to make it more difficult to launder drug money and move this across borders. Economic development strategies that provide strong education and produce decent work for millions of young people should also be pursued. Finally, demand-side interventions that strengthen community awareness, and assist drug-affected individuals and their families will be critical, in order to save young people from falling deeper into drug dependence. Ultimately, the most destructive impact of narcotics on our country is through its effects on our next generation of citizens, by weakening them. It would be ironic if the effort to combat crime and drugs sacrifices young people, the very wealth we are trying to protect from this scourge. Many media stories document the horrors of children witnessing a killing, many times witnessing their own parents’ killing. Linda, an 11-year old girl saw both her mother and father shot in the head. Her mother was killed holding a piece of paper to show the gunman, proof that she had already surrendered in Operation Tokhang. Her father was calling out her name when he was shot in front of his children. On the day of her 10th birthday, Annie’s father came home to greet her and cook a birthday meal. Masked armed men barged into their house and, in full view of his children, shot her father in the head, chest, and stomach. Innumerable children witness the daily violence of this anti-drug campaign. Some are present when their father or brother is killed or abducted, others see or hear their neighbors being gunned down. Hundreds or thousands of children see dead bodies on the street, standing behind police tape, watching the family members of those killed wail in helpless sorrow, gripped by shock and grief. Others attend the funerals of their friends, children who are killed and then called collateral damage in this alleged war against drugs. The number of children who witnessed the violence resulting from the anti-illegal drugs campaign could well reach into the millions, due to the extensive coverage of media. In news stories on television showing video footage of crime scenes related to the anti-drugs campaign, it is common to see children standing behind the police tape looking at the dead body. They see their neighbors alive one day, and lying dead on the street the next. In areas where there are many killings, it can be a regular occurrence to see the violence, and even to expect it. What does all this witnessing do to the children of hard-hit communities? How does it affect them? Will it change the way they value life itself? How might it shape their views of justice and rule of law? Will they seek comfort or revenge? How will it shape their lives? Few studies are available on the Philippines as of the moment. As regards international evidence and experience, extensive research points to long-term harm on children arising from being exposed to violence linked to a purely punitive approach against illegal drugs. In Mexico, for example, empirical evidence suggests that both exposure and persistence of drug-related violence dramatically weakens academic achievement. Similar studies focused on the effects of violence linked to the drug wars waged in Afghanistan, Colombia, Ecuador and Indonesia point to extensive harm to children and mothers, with implications not just on physical health and safety, but also on the psychological health of children and young people. In the city of Juarez, Mexico, alone, at least 10,000 children have been orphaned because of the violence from the drug war, by one estimate. In fact, the weight of international evidence suggests that a “war on drugs”—or a purely punitive approach to combatting the spread and use of illegal drugs—has not worked, and is now being replaced by harm reduction strategies. Scholars and advocates note how a legally regulated model of production and trade could better “protect” children from drugs—covering the most vulnerable children who use, transport and produce/farm drugs. In this climate of punitive action where procedures and operational rules seem suspended, children are at risk in many different ways. Beyond those who were killed, there are those who continue to be victimized by the police. They are detained, sometimes jailed, kept away from their parents, and then treated the same as adult offenders. We should be concerned not only about those who have been and will be killed, but all those children who are vulnerable to rights abuses or have been victimized in other ways by the government’s campaign against illegal drugs. That one of the first initiatives of the administration when it took office was to attempt to lower the age of criminal liability to 9 years old belies a hostile attitude against children. It also flaunts a surprising lack of guidance from international best practices and international evidence on what works more effectively in combatting the scourge of illegal drugs. The impact on children of this so-called “war against drugs” is likely dramatic and long-lived. There is every reason to believe that it will be much larger as the policy continues -- “relentless and chilling” as has been promised in this year’s State of the Nation Address. We have limited information on the scale of these impacts, exactly how many children have been killed, how many have witnessed the killing of their loved ones, how many witness violence in their communities, and how many are arrested or targeted as drug personalities? It is time for the child rights groups, media, and academe to place a special focus on the impacts of this policy on children. It is time for us all to start protecting our children.